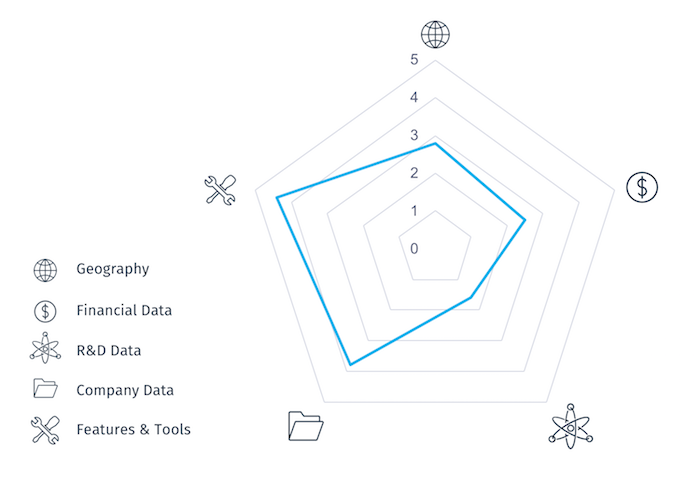 An in-depth look at the data, features and usability of CB Insights, Crunchbase, Linknovate, Mergeflow and Resolute Innovation. Download our analysis of 5 innovation databases. In-depth analysis of 5 top innovation and technology scouting databases (36 pages). Review of CB Insights, Crunchbase, Linknovate, Mergeflow and Resolute Innovation. An evaluation of each database sources, depth and reach, according to a range of criteria. A description of their search and visualization features. Graphs and figures that show how these platforms work. Data-driven innovation & technology scouting is here. Almost 3,500 new patents are granted worldwide… every single day. Half a trillion dollars a year are spent in R&D in the US alone. The amount of innovation that is being created around the world is staggering. New tools and services are emerging that leverage data and machine learning to help users investigate innovation and startups. They aggregate hundreds of data sources on technologies, innovators, patents, grants, research, startups, VC financing, M&A activity and investors, mapping out ecosystems and the global flow of innovation. Evaluating each tool's features and strengths. Geographic Reach i.e. country, region, global. Financial Data i.e. data about investments, M&A, financials. Company Data i.e. data about companies/startup and profile details. Features & Tools i.e. search, analysis, visualization features and UX. Are you looking to more effectively track global technology trends, startups and R&D activity? Do you need to improve your process to scan, filter and screen technology scouting opportunities? Are you exploring how to use data to sift through the noise and more accurately identify signals in the innovation ecosystem?